We sell and repair all major brands of air conditioners. 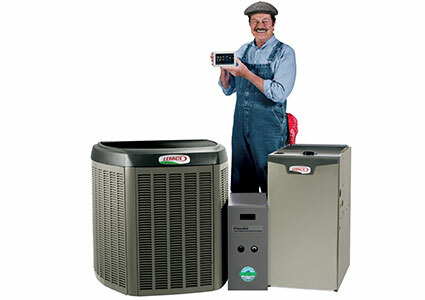 Call to schedule a free estimate on a new energy efficient furnace or air conditioner. Staley’s is a Premier Lennox Dealer – since 1941! Our trucks are stocked with a wide selection of HVAC parts. We carry all sizes of filters! You can trust our factory trained technicians to help you fast and efficiently. If you need isn’t urgent, please use the form below to send us a note and we will follow up during normal business hours.